In principle, bone augmentation is very seldomly necessary in today’s times, as opposed to previous years. The latest, cutting-edge technology – computerised implant planning, immediate implantation, high quality implant surfaces – enable implantation even in patients who have quite recently been told their teeth cannot tolerate implants. Today, high performance implants that were previously unimaginable have finally been made available to us. In most cases, these are shorter and thinner than their predecessors, they mitigate the treatment itself and they facilitate a smooth healing process. Special surfaces and shapes allow for treatment plans which are simultaneously protective and effective. If our wide bone-offer range still doesn‘t suffice, we have the most modern methods for bone augmentation directly available to us: this comprises the use of bone replacement materials or the patient’s own bone and growth factors. 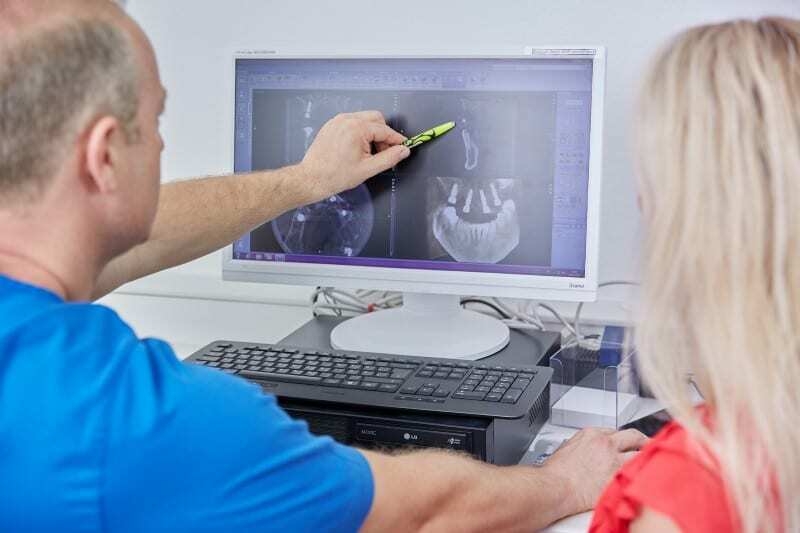 Through individual planning of the patient’s bone needs, the terror around bone augmentation has now fallen away and even cases which might previously have been very distressing, can now be remedied quickly and securely. Prof Tepper ran the operating room at the university dental clinic for several years and has gained invaluable experience in this field. Bone augmentation must be tailor-made in each case and planned individually for each patient.